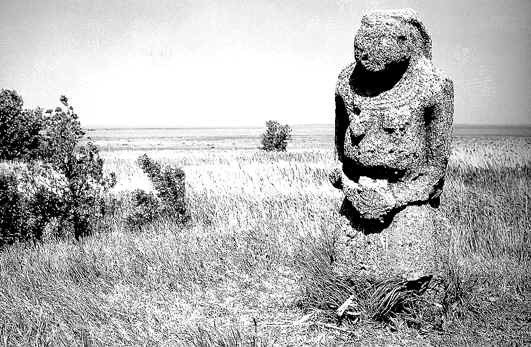 We associable idolatry with remote ancestors’ paganism, when people used to create totems from stone, wood, or any other material and believed that these statues had direct influence on their life. They thought that idols could bring them luck, miseries, fortune, diseases, good or bad weather and so on. We used to think that idolaters in Islam are pre-Islamic Arab pagans of jahilia times. When we imagine paganism now we mean something ancient, wild, something what is far from monotheistic believes and antithetical to our age of progress and technologies. But is this really so? Unfortunately, idol worshiping is flourishing nowadays in its old and new shapes. And we will not speak about peoples who still practice paganism on Earth, we will speak about modern forms of idolatry widespread both among disbelievers who does not deplore modern shapes of paganism, and also among believers. It is a profound mistake to think that idols are only totems of heathen gods carved out of stone, wood or metal. A human being can make an idol of everything: any images, another person, money, power, his own ego, sport, occult practics. Everything what he brings to the level of “holders of strenghs and power” along with Allmighty God. Idolatry or shirk, in other words, is worshiping something or somebody along with God. Occultism is the first thing coming to mind about idolatry. Fortunetelling, divination, witchcraft, astrology, numerology, chiromancy, spiritualism, Kabbalah, anthroposophy, out-of-body experience, some kinds of mysticism, transcendental meditation, mediumism, yoga, extrasensory treatment, treatment by karma, Shamanism, belong to occultism. Everybody heard about fortunetellers, diviners, magicians, psychics, healers, astrologers. A lot of people use their services in order to reach certain personal targets in love, career etc. People being facinated with their abilities to communicate with spirits or jinns start trusting them, follow their pieces of advice, and think that they are able to change their life. It is not permissible to go to soothsayers and fortune tellers, because the Prophet (peace and blessings of Allaah be upon him) said: “Whoever goes to a fortune-teller and asks him about something, his prayer will not be accepted for forty nights.” (Muslim). It was narrated that Mu’aawiyah ibn al-Hakam said: “I said, ‘O Messenger of Allaah, I am still close to the time of Jaahiliyyah [i.e., I am new in Islam]. Allaah has brought Islam to us, but there are among us men who go to soothsayers (fortune tellers).’ He said, ‘Do not go to them.’ I said, ‘And there are men among us who practise augury [watch birds for omens].’ He said, ‘That is something which they make up. Do not believe them.’” (Muslim). Everything what “miracle workers” do is a wonderful, supernatural deep mystery for religiously ignorant people. Especially when they can get quickly what they ask for: career advancement, revenge, success in love affairs, self-fulfilling prophecy etc., they become more convinced that occult experience is a way to solve all their problems. How can we explain that diviners can say the truth and a healer can cure a disease? Magic is one of tests from Allah for humans to check their ihsan (sincerity of faith). At the same time it is one of satan’s strategies to seduce a human being out of the right way, directing him to false believes. Shaitans find people practicing occultism, those people who aim consciously at contacting them through invocation, meditation, fortunetelling, magic rituals. Shaitan captures mind of a person through paranormalists, fortune-tellers, diviners and other miracle workers convincing him that magic is harmless and promising immediate results only for a performing some rituals or whispering a few spells. Shaitan does it for the only reason: to distant a person from Almighty Allah as far as possible, to seize his will deceiving him and to lead him directly to Hell. He fulfils any worldly wishes till a person lives according his plan forgetting about the true purpose of his life. Religiously ignorant people are often caught in a trap by theatrical religiosity of “magicians”. 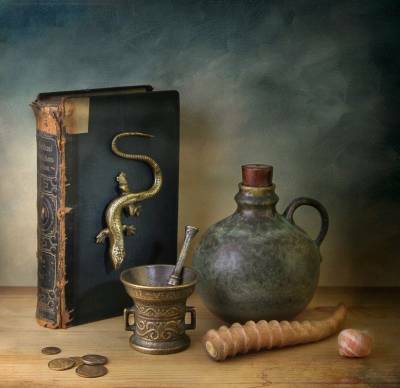 Amulets, talismans, fortune-telling, love spells, superstitions are wide-spread mostly among people belonging to religion but knowing a little about it. Fortune-tellers, diviners, healers can often advise to go to sit in a church, light a candle, drink holy water and so on. Christians trust such pieces of advice and they think that they do not commit any sin being dwindled in bigger unbelief. Occultism did not leave Islam alone too. For instance, in Turkey some women think that when they read sura Ya Sin above inoculated milk it will get healthfulness and will protect from evil eye. Some people in non-arabic speaking Muslim regions who do not study and do not try to understand Quran think that if they always keep a certain ayat of Quran with them it will protect them from shaitan. A lot of people think that they follow Islamic tradition by celebrating Nowruz. Iranian and Turkish peoples bring this celebration of worshiping the sun and fire to the level of religious tradition but it has nothing in common with Islam. The roots of this celebration hark back to Ancient Egypt. Celebrating it is idolatry. It is very hard to drub superstitions out of people’s heads if their faith is weak and they have a little knowledge about their religion. Where there is lack of faith there are superstitions. It is an illusion to think that muslim countries are not familiar with magic, predictions and magicians blowing on knot from surah al Falaq. Many people believe in predictions. Only famous Turkish evil eye says a lot about the degree of superstitiousness in Muslim countries. 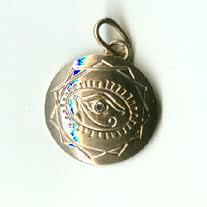 Evil eye is often represented as a Muslim amulet. Everybody must be has seen it in souvenir shops or has heard about it at least. They believe that it protects from all varieties of evil eye so they put it on themselves, on their children, keep it in their houses etc. This amulet is popular not only among Muslims. 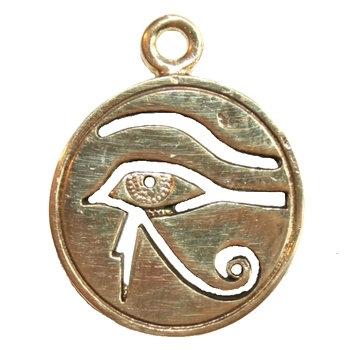 A lot of people like to use jeweleries with stones, images, simbols, hieroglyph. They think that such talismans have sacral meaning and will bring them luck, love, wealth, health and protection from troubles. 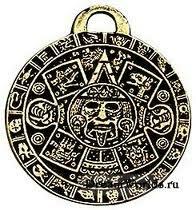 You must be noticed too that there is air of Satanism nearly always and any amulet represents heathenish symbolism. 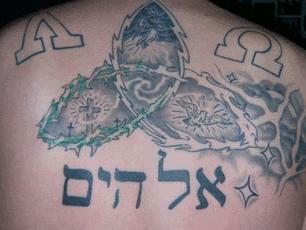 Some of tattoos can be occult as well. Being a prerogative of prisoners recently they gain popularity among youth now. 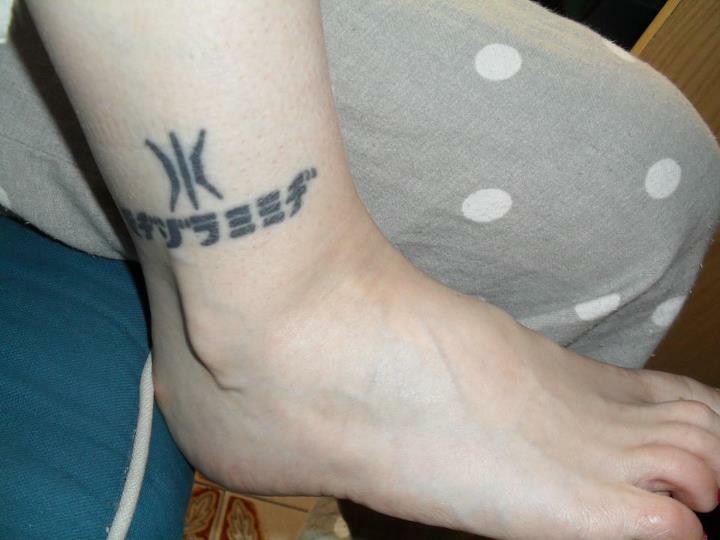 Images of humans, beasts, symbols, signs, and phrases on rare languages as body art can have occult meaning and can be set as a form of devil worshiping as well. 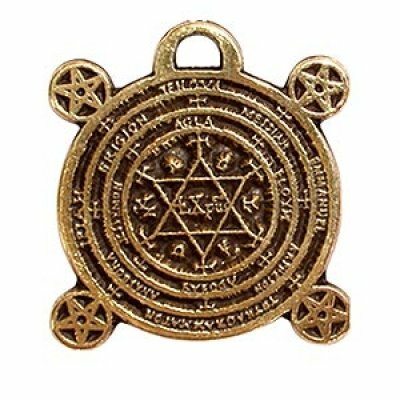 Jewish Kabala is ancient heathen wisdom which combines knowledge of Numerology, Astrology, Alchemy, Magic. 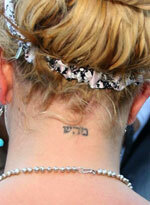 Kabala is also the main Jewish magiс informative tool. Many people make the same images on their bodies to follow their favorite celebrities or simply to emphasize the level of their individual freedom. 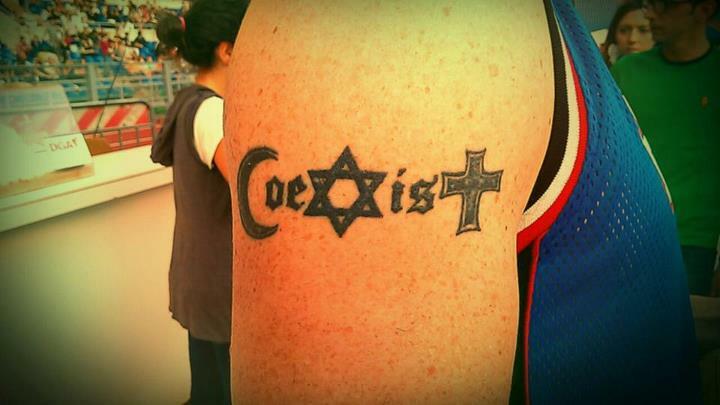 But tattoos have roots in paganism and to put a permanent image on body means to please Satan. Nowadays idol worshiping is flourishing. Superstitions, magic, divinations, occult signs and images, pagan celebrations are only a few aspects to highlight about modern idolatry. It is just amazing that people sometimes are ready to believe everything except God. They are ready to sell even their souls for the worldly pleasures and they are caught like flies in Satan’s web. There is the only way for a person to protect himself from ignorance, dangerous prejudices, false believes – to turn to Allah and seek his guidance, because the salvation of the soul is only in the true faith. Is Hijab an Islamic Duty?